Not only does Stolen have the new Sean Morr signature Connoisseeur frame, but they also have the brand new Jackson Ratima Highjack frame hitting BMX shops and mail-orders now. The Highjack frame starts out with fully heat-treated 4130 chromoly tubing with a 75.5-degree head tube angle, 71-degree seat tube angle, 11.8″ bottom bracket height, 9.50″ standover height and a 13.3″ – 13.7″ chainstay length. You can find a taller 5″ integrated head tube, top and down tube gussets, a long butted anti-dent down tube, integrated seat post clamp, Mid bottom bracket and laser cut, CNC machined dropouts with integrated chain tensioners. The Highjack frame is available in translucent black and translucent turquoise for colors, top tube lengths of 20.75″ and 21.25″, weighs in at 4 lbs. 10.4 oz. 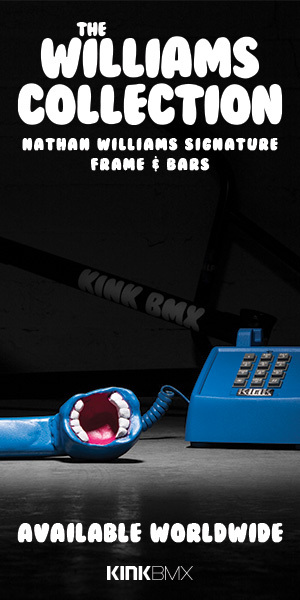 and comes with a price tag of $309.99 through BMX shops and mail-orders that carry Stolen Bikes worldwide now! Stolen Bikes have released their 2017 range of complete bikes! 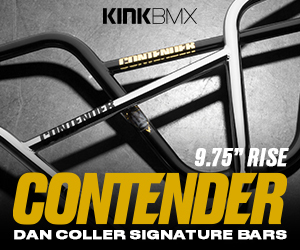 This range features a good mix of bikes from the high end Sinner XLT all the way down to their Agent range of bikes that come in 3 different sizes to their Saint XL 24″ and Zeke XLT 26″ bikes! Hit the catalog above to take a closer look at each of the bikes, along with full specs and details at the end of the catalog! We first caught a glimpse of the new Tie Dye Thermalite BMX Pedals from Stolen back at Interbike 2015, and then we caught another look at them at Frostbike 2016 where Stolen weren’t quite sure if the tie dye version of their popular plastic pedal would be going into production. It turns out that they decided to do a run of them and they’re hitting BMX shops and mail-orders that carry Stolen worldwide now. The Thermalite pedals are made from Stolen’s Thermalite nylon based material with a unique concave, low profile design with micro-knurling and 24 molded pins for traction, a recessed end to help prevent damage to the bearing cover, a chromoly spindle with a 6mm broach and 15mm wrench flats and unsealed bearings. They’re currently available in Black, Dark Blue, Bright Blue, Gang Green, Neon Orange, Purple, Red, White or Limited Edition Woodland Camouflage to go along with the new tie dye color and a weight of 13.8 oz per pair for around $19.99. Stolen Bikes hit us up to let us know they have a brand new website up and running. They’ve changed up the design, updated the product and team pages and more! Head over to StolenBMX.com and have a look around!